In commemoration of World Day of Social Justice on February 20 – which promotes efforts to tackle issues such as poverty, exclusion and unemployment – we honor individuals such as Latt Ky, who have dedicated their lives to upholding the principles of social justice and respect for all human rights and fundamental freedoms. 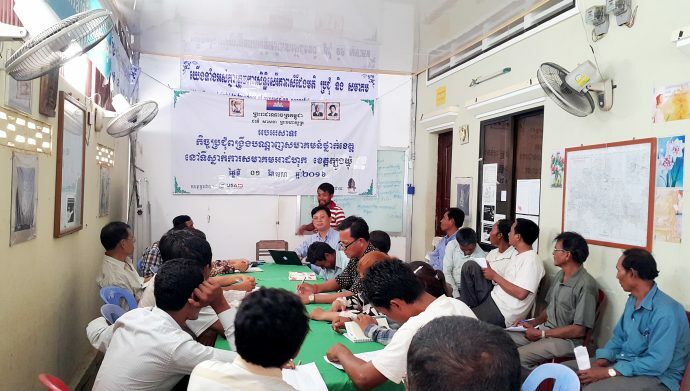 As the director of land and resources at the Cambodian Human Rights and Development Association, Latt Ky is an advocate for land and housing rights in Cambodia. The issue has long been near to his heart. In 1990, at the age of 16, his family was removed from their home without compensation in Banteay Meanchey province in northwest Cambodia. His father sold their motorcycle — a prized possession — to afford the move to a new home. After that experience, Latt Ky was inspired to fight for the same justice his family was denied. He decided to become a human rights activist, first working as a database operator for the Khmer Rouge Tribunal, which advocated on behalf of millions of victims of the 1975-1979 genocide in Cambodia. 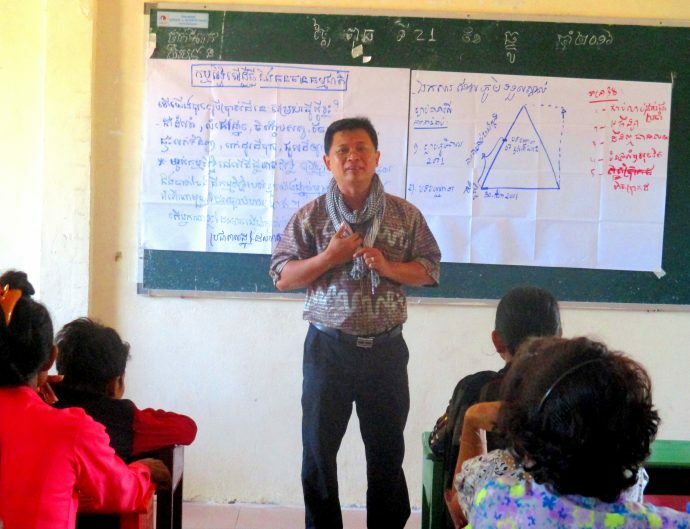 In 1996, Latt Ky started working as a land rights program officer at the USAID-supported Cambodian Human Rights and Development Association, the country’s oldest human rights organization. 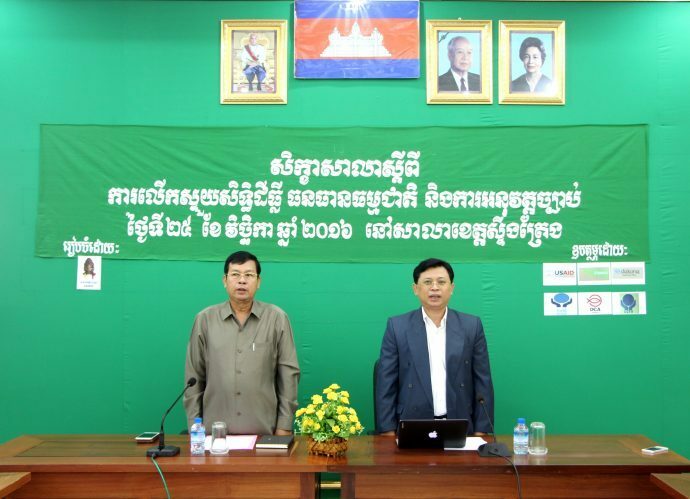 It was founded by former political prisoners in December 1991 — shortly after the signing of the Paris Peace Accords, which put an end to several decades of civil war in Cambodia. The association empowers ordinary citizens to claim respect for their rights and helps victims of human rights abuses in their quest for justice. Latt Ky is now leading efforts to empower vulnerable or marginalized rural communities that have been affected by land rights violations. “I do my best for the interest of the communities,” he said. This includes trainings on fundamental human rights and the principles of democracy, as well as community organizing and the importance of seeking legal assistance for evictees. He also helps individuals learn how to advocate for their rights, while monitoring and documenting violations of these same rights. 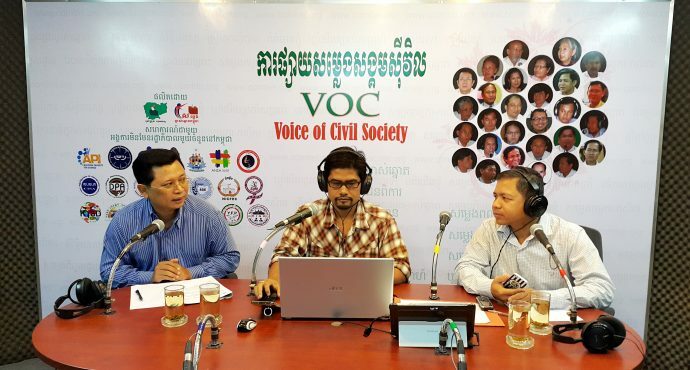 Latt Ky says that while citizenry in general have become more informed of their rights in the last 20 years, and policy and legal frameworks in Cambodia have also been improved, there is still more work to be done. The struggle is in limited implementation and practice of these rights, he said. Through his leadership with the association, he monitors over 100 land and natural resource rights violation cases annually, involving thousands of families. He also plays an important role in seeking resolutions for these cases through both courts and alternative dispute resolution systems. These efforts have been widely praised by the communities that have received his assistance. Over the years, Latt Ky has faced personal challenges, including being temporarily detained in 2001 during the investigation of a land conflict in the Prey Tea village in Vihear province. He was also questioned and detained for several hours in 2008 while observing the forced eviction of citizens in Kampong Speu province. In spite of challenges, Latt Ky continues to bring affected communities together with the government to try to find a peaceful and long-lasting resolution to land disputes. His efforts have resolved even the most complex of cases. 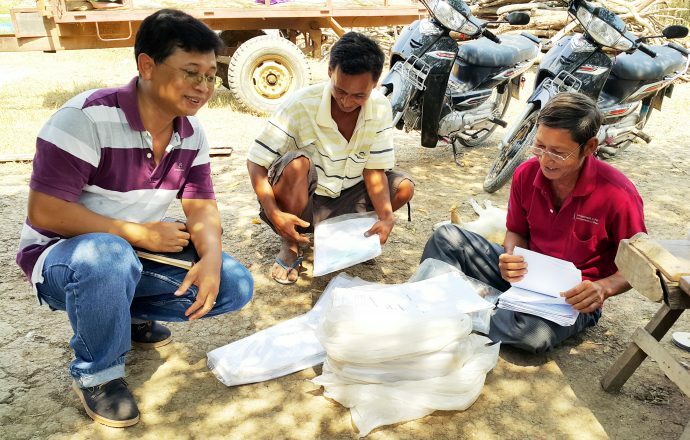 Through his work with USAID, Latt Ky noted that communities are now actively exercising their rights to address land and natural resource management and rights violations. He has also seen positive changes in the approach of local government officials working with the affected communities.